Drizzly, wet weather is soaking southern Quebec today and, while it may warm up in the coming two days, more soggy weather is on the way to close out the week. The rainy weather is leading to flooding concerns in various parts of the province. Water is rising in North Hatley, Que., causing damage to building and structures close to the water. Drizzly, wet weather is soaking southern Quebec today and, while it may warm up in the coming two days, more soggy weather will likely close out the week. The rainy weather is leading to flooding concerns in various parts of the province and many communities are on the lookout for rising waters. The Beauce region has already reported overflows in some areas, and Environment Canada is warning of heavy rain headed for Gatineau, Montreal and the Eastern Townships. There is some flooding in North Hatley and Sherbrooke officials are keeping an eye on water levels which are continuing to rise. Premier François Legault says his government is closely monitoring the state of Quebec's rivers. Legault invited the mayors of municipalities affected by the weather and possible floods to contact the public security ministry for assistance. 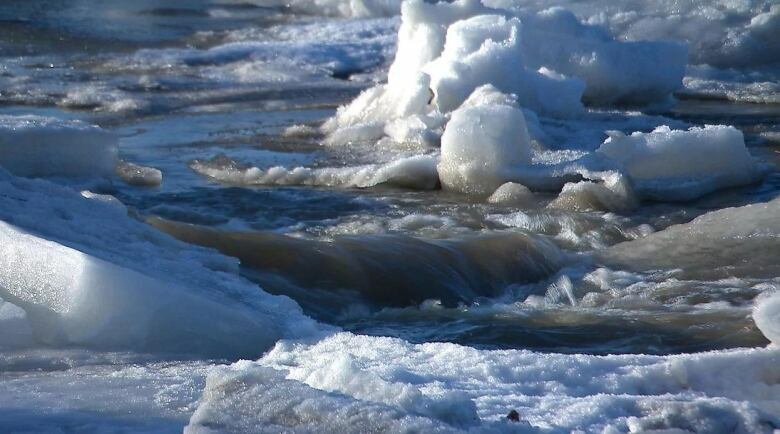 In the Beauce, an ice jam on the Chaudière River near a bridge in Saint-Georges, coupled with the increase in groundwater, caused basement flooding from Saturday to Sunday. Public security teams, preparing for the spring thaw for several weeks, were deployed Sunday to assess the situation. "We are monitoring the evolution of the situation throughout Quebec, especially in Beauce, Public Security Minister Geneviève Guilbault‏ tweeted on Sunday afternoon. "Our government will be present to meet any eventuality." Residences whose basements have been flooded are located on the edge of the river, said Jean Savard, operations centre director for the Ministry of Public Security. He said the melting snow and ice has decreased the risk of ice jams, but some northern waters are still iced over. The soil is still frozen in much of the province as well, meaning it won't absorb the water. 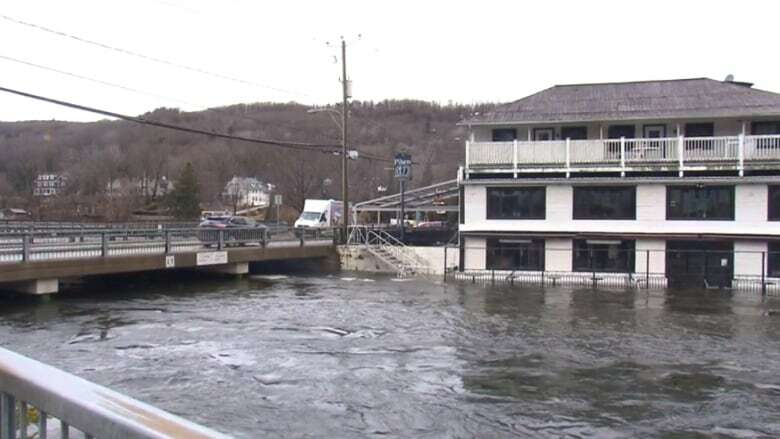 Officials are asking residents to notify their municipal authorities as soon as they notice a "spontaneous movement of a watercourse or a marked rise in the level of water," Savard said. There are freezing rain, snowfall and rainfall warnings across the province today, according to Environment Canada. In Beauce and Quebec City, 10 to 20 millimetres is expected. Further north, in areas like Rimouski and Mont-Joli, up to 25 centimetres of snow could fall. The poor road conditions in Lac-Saint-Jean forced the closure of all the schools of the Commission scolaire du Pays-des-Bleuets, including the adult education and vocational training centres. In other school boards in the region, transportation delays are possible. Flooding has also been observed in Saint-Eustache, in the Laurentians, near Deux-Montagnes Lake as well as in Rigaud, in the Montérégie. In Lévis, about 30 homes were evacuated this weekend as a preventive measure. In the Bécancour region, an ice jam formed on the Bécancour River causing flooding, but the situation has returned to normal quickly. In Eastern Quebec, the Kamouraska River, in the Lower St. Lawrence region, is being monitored.